The fat inflammation under the skin and within the veins may cause some skin complications that may be casual as well as a bit chronic. Usually, there are many types of skin disorders, but if you look at lipodermatosclerosis, then you will come to know this is very strange and critical skin problem. 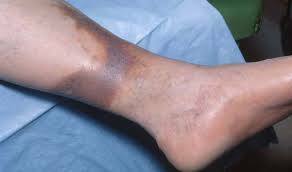 Simply, lipodermatosclerosis is a condition in which the color of lower leg skin changes to red or pink. Basically, this skin disorder is not serious and risky for the patients, but if the patients have severe pain, red skin and tapering on the legs and thighs, then it can be chronic. There are many medical reports and surveys on lipodermatosclerosis and dermatologists agree that the people having obesity may suffer from this skin disorder more than slim people. Usually, it is very easy for the dermatologists to treat this disorder in early stages and if it becomes intensive as well as chronic, then it will take more time to cure lipodermatosclerosis successfully. On the other side, it is very easy for the patients to identify and confirm this disorder. Of course, it can be observed and viewed if there is lipodermatosclerosis. There are many perceptions and doctrines of health experts as well as dermatologists about the lipodermatosclerosis. They all consider there is no well-known and confirmed cause of this skin problem. Usually, the people may encounter this issue in any part of the age, while the obesity and fatty people encounter this skin problem largely. Furthermore result oriented treatments are available to cure this skin disease. Dermatologists always select the right curing method after having detailed checkup of a patient. Fundamentally, this skin disorder is visible and there is no need of any lipodermatosclerosis diagnosis. However, still, the doctors and dermatologists apply some valuable and effective techniques to confirm the lipodermatosclerosis in the patients. There is no need of any blood sample, while the doctors and dermatologists generally use the magnetic resonance imaging and ultrasound scan to confirm the disorder. The Skin Biopsy is also an important and helpful way to diagnose lipodermatosclerosis. Generally prognosis of this disease depends upon above mentioned findings and especially on histology report. All these diagnosing methods are helpful, supportive and effective for the dermatologists to choose the best method for the patients according to their health condition and type of lipodermatosclerosis. It is generally observed that venous hypertension for a long time may cause ulceration and necrosis in associated tissues due to diffusion of fibrin. This phenomenon may also be triggered by hypoxia or leakage of proteins due to mechanical or accidental injury. It also presumed that diabetics are more prone to get involve in such disease due to impaired venous circulation in lower legs. The venous deficiency is the main cause or reason of lipodermatosclerosis in the humans. Usually, there are plenty of medicines, lotions, external products and therapies to cure this skin issue. In general, compression therapy is the best treatment ever for lipodermatosclerosis. However, the health supplements, medicines, and few physical exercises are also beneficial. In some cases you health care provider may ask you to use fibrinolytic agent.